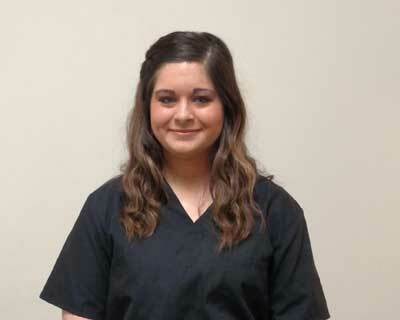 Elizabeth graduated from Athens Technical College in Medical Assisting and joined Five Points Eye Care in 2018. She was born in India but grew up in the United States for most of her life and is beyond grateful for the opportunities she gets by being here. 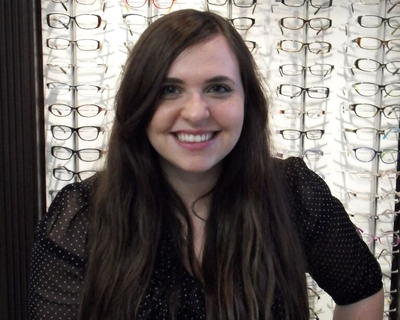 Elizabeth is a people pleaser who enjoys meeting others needs and making them feel great about themselves, a wonderful trait to have as an optometric technician. Most important to her, though, is having quality times with her friends and family. 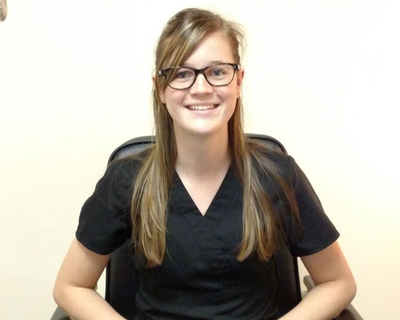 Abby is the newest member of our clinic technician team. 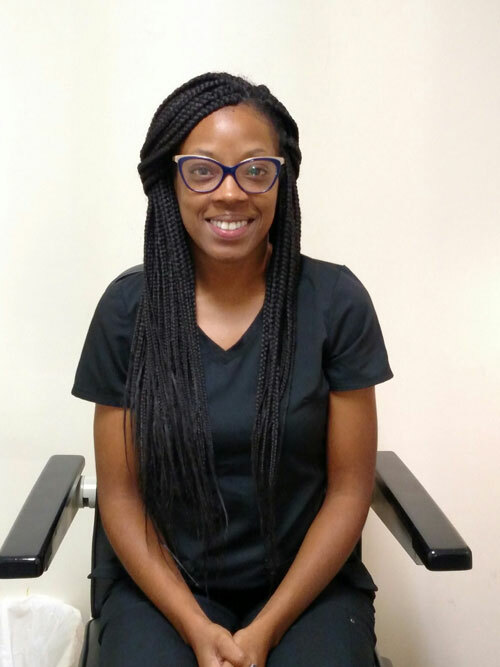 She grew up in nearby Jefferson and joined Five Points Eye Care in 2013 after working for several years in the service industry. She’s currently working as a full-time optometric technician and became certified by the National Contact Lens Examiners in 2017. Abby enjoys spending time with her friends and family, playing with her Great Dane, and reading. 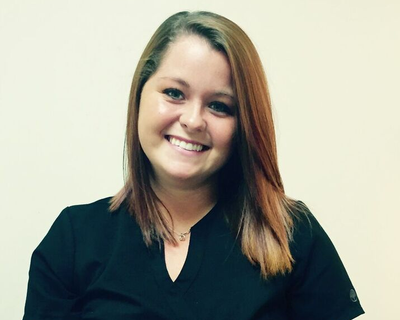 Amber started with Five Points Eye Care as an optometric technician in May 2018. She is originally from Covington, GA and moved to Danielsville, GA with her young son in 2014. She loves to watch and play all kinds of sports. She enjoys fishing and hunting as well as cooking and baking. As our Practice Administrator, April keeps our office running smoothly, working on special projects for the doctors, handling the office inventory and physical plant upkeep as well as organizing our training materials. She also coordinates the business office schedule and trains new staff members in this area of our office. 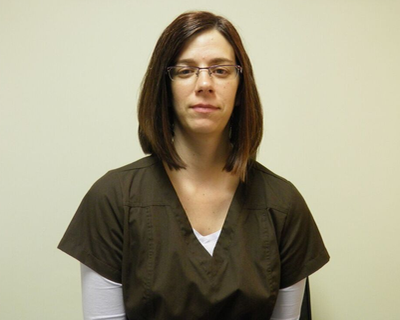 April joined Five Points Eye Care in February 2010 and lives in Athens. She has been in the eye care field since 2005. April spends her free time volunteering at local middle and high schools as a math tutor, traveling and attending local art shows. 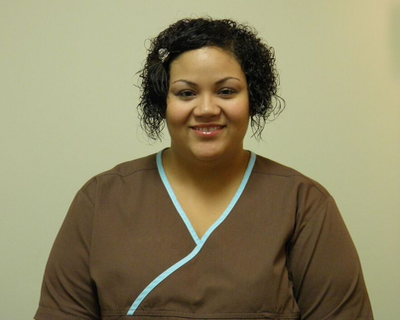 Celeste Dove joined our staff in August 2015 as our patient care coordinator. You may see her friendly face when you arrive at our front desk or have her help you on the phone when she is in our call center. She lives in Danielsville with her husband and is pursuing a degree in medical assisting. She enjoys reading, spending time with her family, traveling, hunting and fishing. 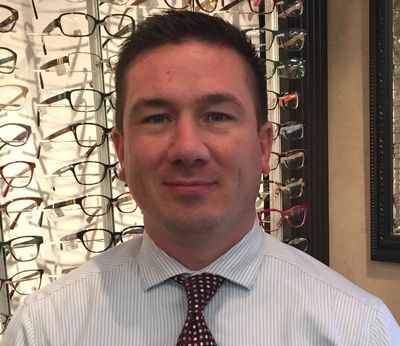 Originally from Atlanta, KC moved to Athens around 2014 after living in NYC for some time to be near family and fell in love with the Classic City. She has a background in the Arts, Architectural History and Communications and joined Five Points Eye Care in 2017. She plans to use that creative background to help patients choose the perfect glasses and receive the best care possible. In her free time she enjoys reading, playing with her dog, searching for new and interesting architecture in Athens and traveling. 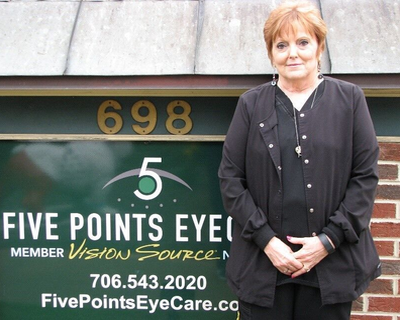 Kathy Ramsay joined Five Points Eye Care in August 2016. She has always enjoyed helping and working with patients in her many years in the medical field. Kathy is a member of our business office, helping patients check-out. She enjoys fishing with her husband on the weekends as well as reading, puzzles, having her granddaughter visit and playing with her three dogs. She also loves to get out and enjoy nature. 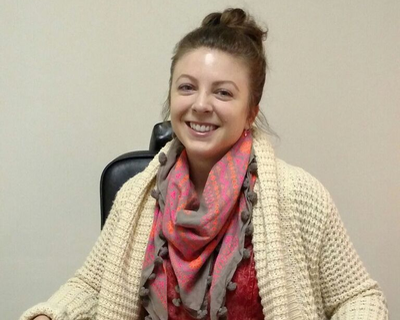 Kenza joined our staff in July 2018 as our Patient Care Coordinator, handling our patient phone calls, coordinating our doctor’s schedules and referrals to other offices. 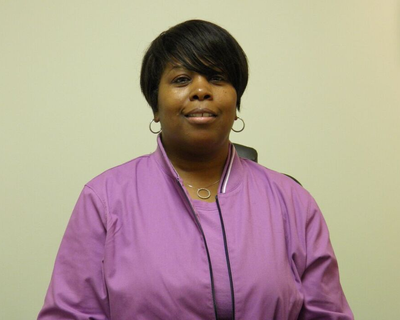 She has years of experience with customer service and marketing and an Associate’s Degree in Criminal Justice but has recently decided to join the medical field. She lives in Athens with her husband and two sons, enjoying spending her time with family outside of the office. Marie has been in the medical field since 1985 and joined our practice in October 2003 as the Front Office Payment Coordinator. 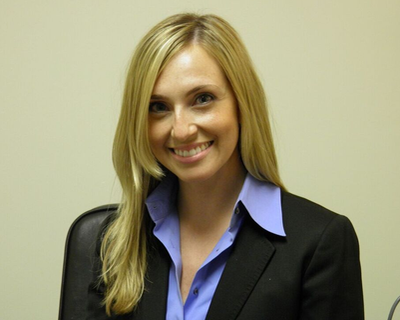 Since then, Marie has been promoted to Insurance and Billing Manager, handling all patient billing and insurance questions and claims filing for our practice. As her proficiency in coding and billing has increased, Marie has used her knowledge to educate the doctors and staff about proper insurance coding. She is also responsible for keeping our billing software compliant with federal regulations. Marie is married with two boys, spending much of her free time with her family and friends. She also enjoys sewing, watching good movies, and reading “Oprah” magazine. As a Vision Therapist, Noemi supervises children with various eye problems including amblyopia (lazy eye) and focusing problems as they complete vision training to improve their vision and visual function. Noemi joined our practice in February 2008 and lives in Athens. She is fluent in Spanish and English and is learning sign language. Her hobbies include reading, teaching, singing, and dancing. Paula Bleecker joined our staff In March 2016. Over the years she has worked in a variety of medical office, hospital, and nursing home settings, but this is her first experience with eye care. A transplant from Pennsylvania, Paula lives in the Watkinsville area with her husband and two big dogs. She has two grown sons and two young grandsons who live near Atlanta. In her free time she enjoys reading, doing needlework, keeping in touch with her out of state relatives and friends, and walking her dogs. 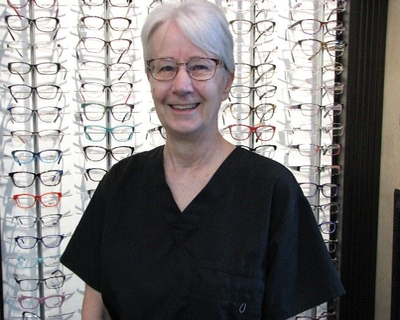 Stacey has been an optometric technician since 1996, joining our practice in July 2000 as a general technician. Since then she has furthered her training to become proficient in all aspects of contact lenses and was promoted to Contact Lens Technician. She became certified by the National Contact Lens Examiners (NCLE) in November 2004. 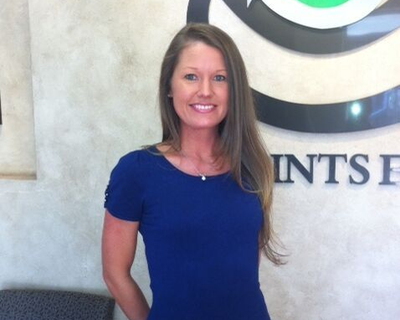 Stacey’s responsibilities include contact lens fittings and ordering of all patient contact lenses. She also performs pre-testing, including taking patient medical history, visual acuity, blood pressure and completes other special testing as needed for the doctors. She is married to Marty Allen, an environmental protection specialist with the Environmental Protection Agency. Her hobbies include reading, photography, exercising and playing with her Doberman puppies.